Set the mood of joyfulness! Adorn your home in a scent that recharges your energy and surrounds you with the feeling of joyfulness. 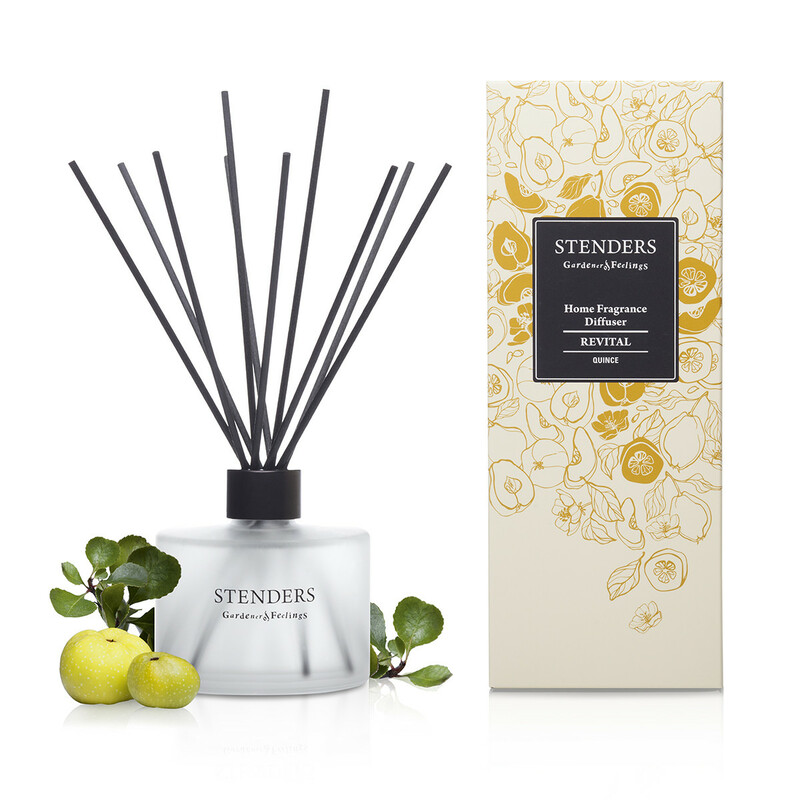 Our home fragrance diffuser will ensure a continuous stream of the inspiring quince and citrus aroma and add a touch of timeless elegance to your décor. The set includes 100 ml of fragrance oil in an elegant glass bottle and 10 diffuser sticks. The invigorating aroma will evaporate slowly allowing you to enjoy the diffusion for up to 30-35 days. The home fragrance refill and additional diffuser sticks sold separately. How to use: remove the cap and insert up to 10 diffuser sticks into the oil bottle. 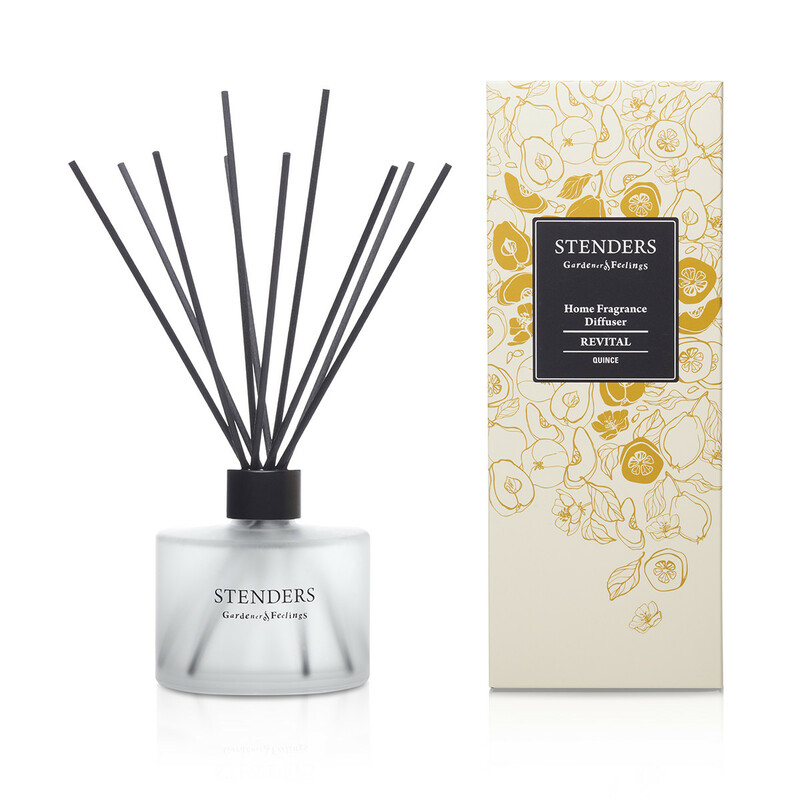 When sticks will have absorbed the oil, the room will subtly fill with the aroma allowing you to enjoy the desired mood for up to 30-35 days. Remember! Place an open bottle on an even surface out of reach of children and pets. Avoid contact of fragrance liquid with all fragile, polished, painted and varnished surfaces and fabrics. Danger! Contains linalool. Easily flammable. Keep away from open flames! May cause an allergic skin reaction. If skin irritation or rash occurs: get medical advice/attention. If medical advice is needed, have product container or label at hand. Harmful to aquatic life with long lasting effects. Avoid release to the environment. Keep out of reach of children!